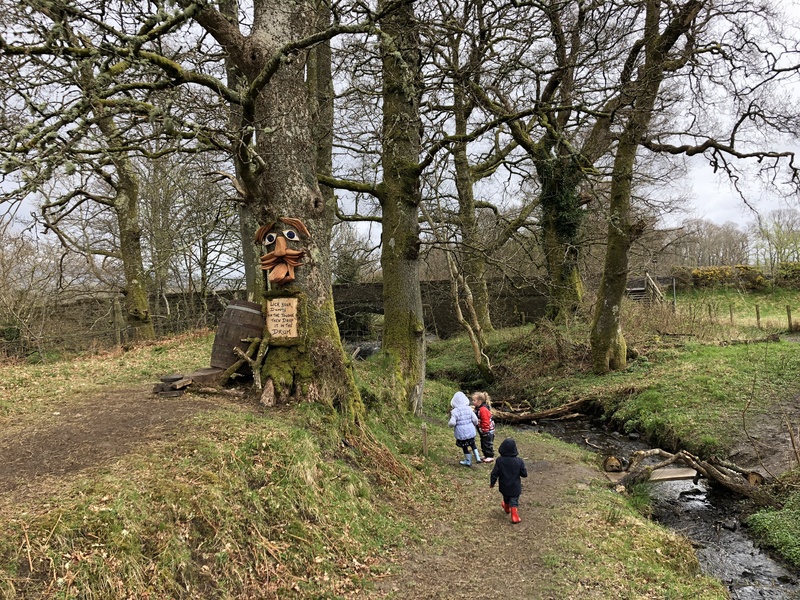 I had wanted to check the Loch Lomond Faerie Trail out ever since I’d heard about it opening earlier this year at Easter. So I got our picnic ready and we headed out to meet some friends there one afternoon a few weeks ago. It was a bit of a drizzly day, but we were there and we were braving it. 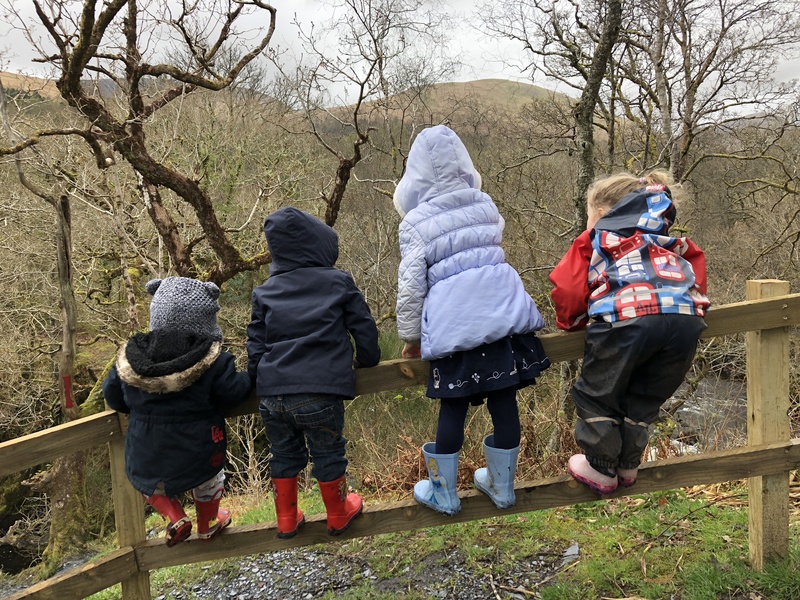 So I stuck the waterproofs on the kids and we headed off. 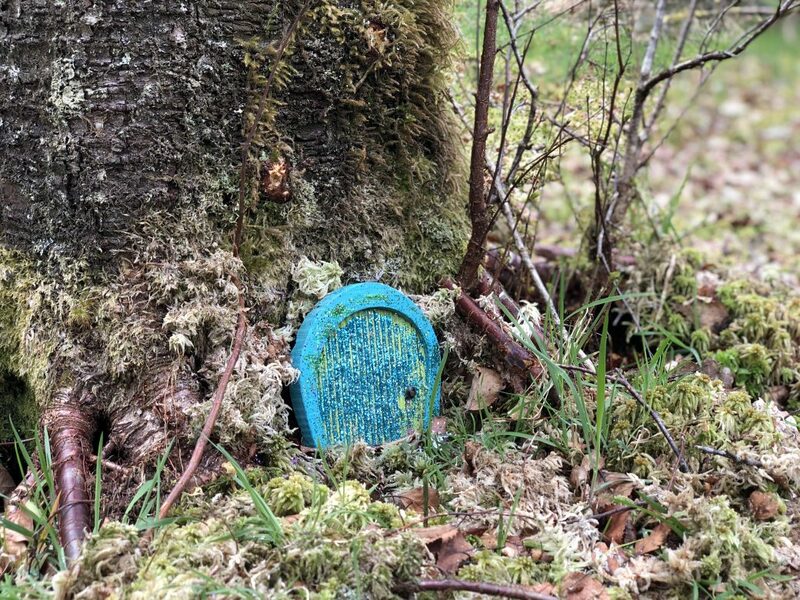 The Loch Lomond Faerie Trail is on a public walk through the woods around Luss. 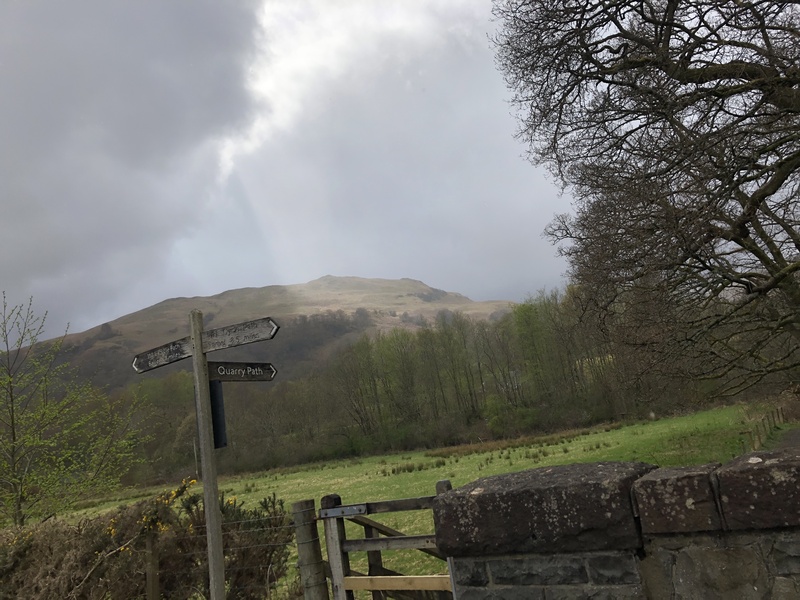 If you go to the cabin in the car park at Luss you can buy your guidebook for the faerie trail which guides you along the trail (as the name suggests…) and there are loads of activities and puzzles to complete as you go. Make sure you get your guidebook because you will miss a lot of the trail without it. The lovely folk in the cabin will also tell you where the trail begins – it can be a bit tricky to find! To get your guidebook for the trail, you need to go to the cabin next to the Petrol Station at the main car park. They will tell you where to go to begin the trail and short journey from the ticket office to the beginning of the trail starts with a large flight of stairs; about 50 of them I think I counted. The stairs are deep enough that you can get a pram onto each one before going up the next step, so it wasn’t a big problem. But just be aware that they’re there. There was lots of fairy dust scattered around though, so we knew we were definitely going the right way! We made our way over a bridge and along a track when we got stuck at a gate. There was no chance either of our buggies were getting through it, but we could walk down to the little country road, across a cattle gate and get onto the faerie trail that way instead. We went through a little gate and found the first faerie house right there: number 1 on the trail. The kids were ecstatic. I think the build up of finding our way to the trail made them incredibly excited! There are 12 different points to find as you make your way along the trail. Each one has a different activity or message or sight to see. 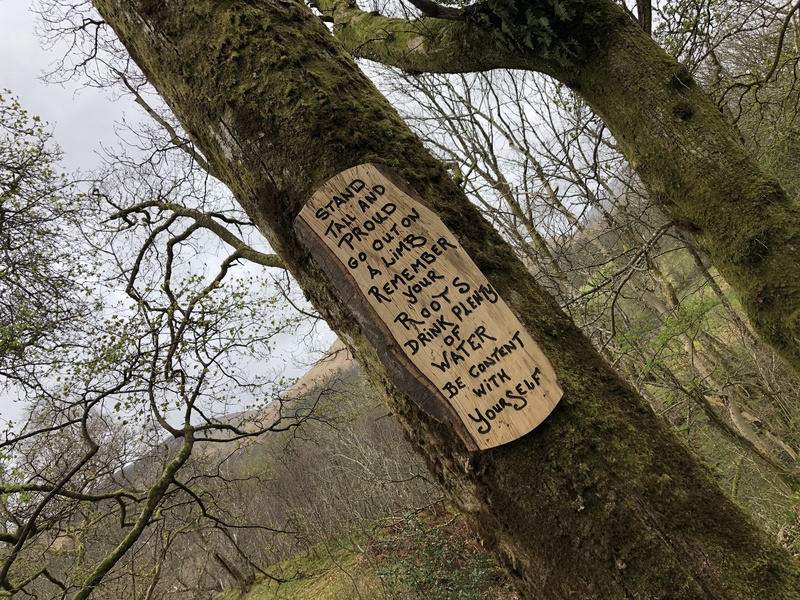 We found a message hidden in the trees, a worry tree, some spell books, a fairy airport, a troll, a log bridge over a little burn, and a big favourite with a few other parents I know: a dummy fairy (around number 9 I think). 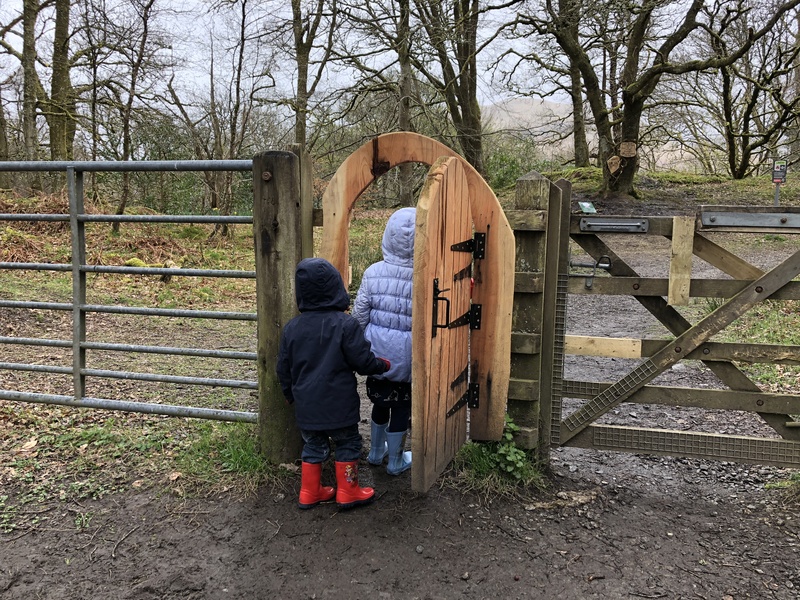 The accompanying guide booklet has puzzles and questions to answer and other activities in it to complete as you go round the trail too, so there is a lot to do when you’re wandering round. The walk itself is through beautiful Scottish countryside. 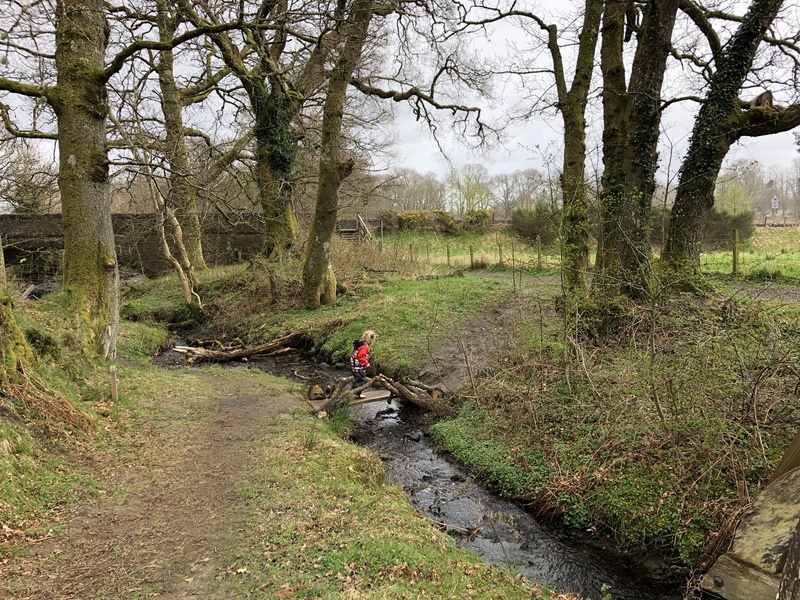 Over and alongside a river, through woodland, up and down little hills, along a woodland path with roots and puddles and mucky bits, and past fields with sheep. It would be a lovely walk in itself, even without having a guidebook and a horde of faerie houses to see. We didn’t finish the whole trail that day. We were there for almost 3 hours and the kids were having so much fun exploring the trail and everything on it that by the time we got to number 9 we had to get them back to the car and get home! 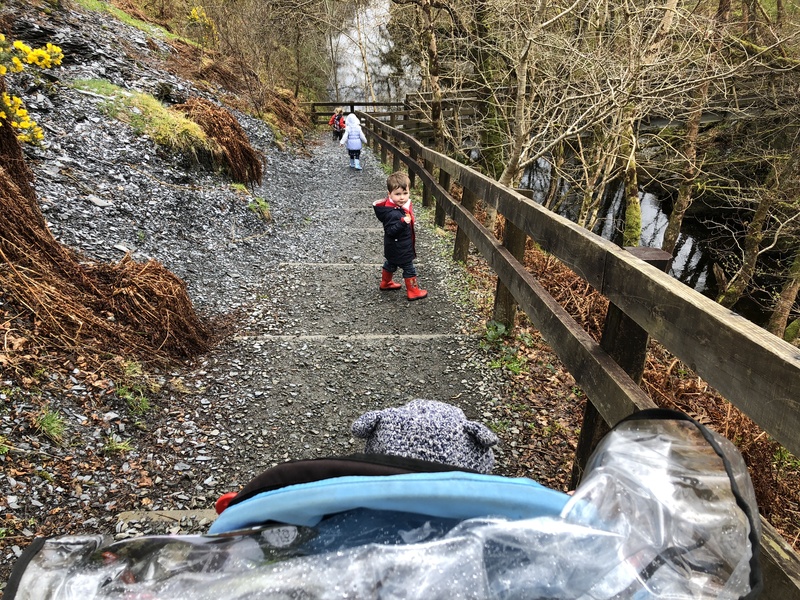 On the Loch Lomond Faerie Trail facebook page they state that there are a few stairs, but the trail is suitable for prams or buggies. Well, there are a few flights of woodland stairs that you need to get up and down on your way along the trail. One you can push your buggy up but a few you need to bump down or drag up. There’s also a bridge over the river that my buggy fit onto with only a couple of inches to spare. And it is a woodland trail, so it’s hilly and a bit bumpy at some parts. I got round the trail fine with my buggy, but with it’s big tyres it is a bit of an off-roader. It would be a tad more difficult with a buggy built for city life. Next time I’d definitely bring the carrier instead. Towards the end of the trail you need to cross over and walk along the pavement next to a country road for a few minutes. I can trust the little lady to walk nicely but not baby boy so he had to be put back in his buggy at this point, much to his disapproval. Make sure you take wellies. For everyone. There were a fair few muddy puddles when we were there. And there’s also a Loch to fall face first into have a splash in when you finish the trail. The guidebook costs £3. This time we only bought one guidebook – for the little lady. I would’ve bought them one each if he was a bit older, but baby boy would’ve just tried to eat his or dip it in the first puddle he saw. You can book online, but you don’t need to. We just turned up, bought our guidebook and off we went. 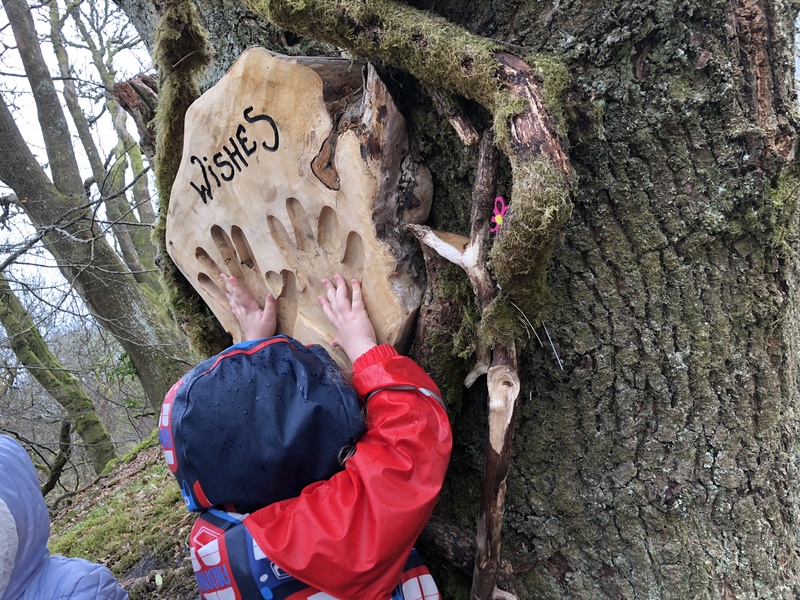 The Loch Lomond Faerie Trail is a brilliant way to have a fun day outside in the beautiful Scottish countryside. 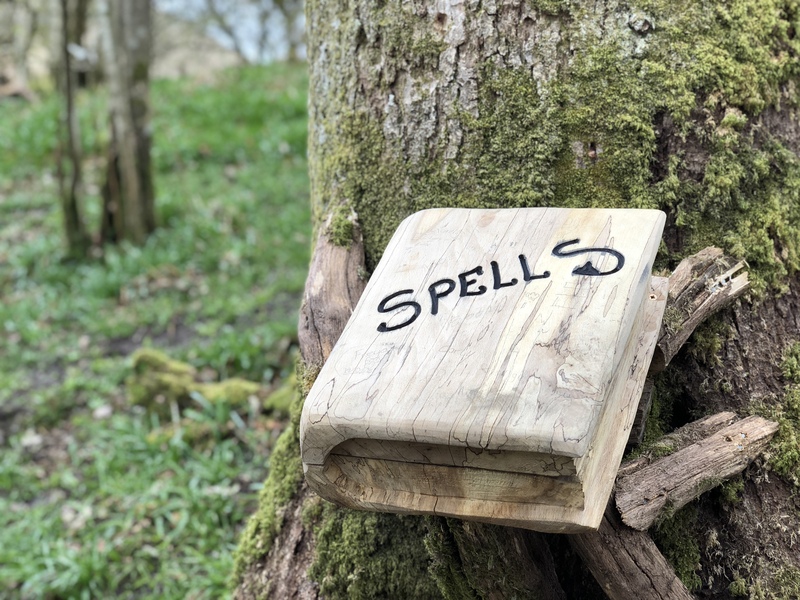 It’s full of things to see and do (if you get the guidebook); there are puzzles to solve and things to find at each faerie door station. But even without the fairies this is a beautiful walk through the woods at the beautiful little village of Luss. The guidebooks are £3 each and with all the extra bits in them, they are totally worth it. All in all this was a brilliant afternoon out. And Luss is such a beautiful place on the banks of Loch Lomond, you could easily make a whole day of it here. We will be back and will hopefully finish the trail next time! Highly recommended. 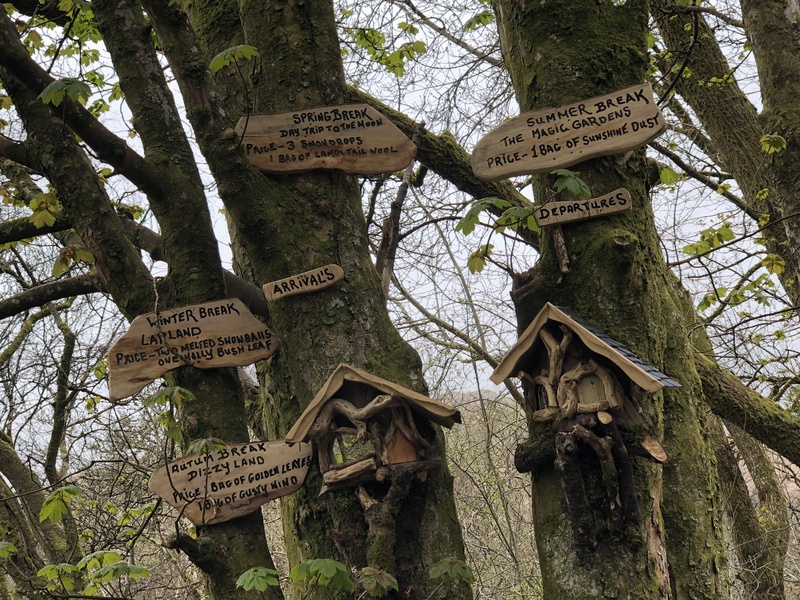 The Loch Lomond Faerie Trail is located at the village of Luss, G83 8PA, on the banks of Loch Lomond.